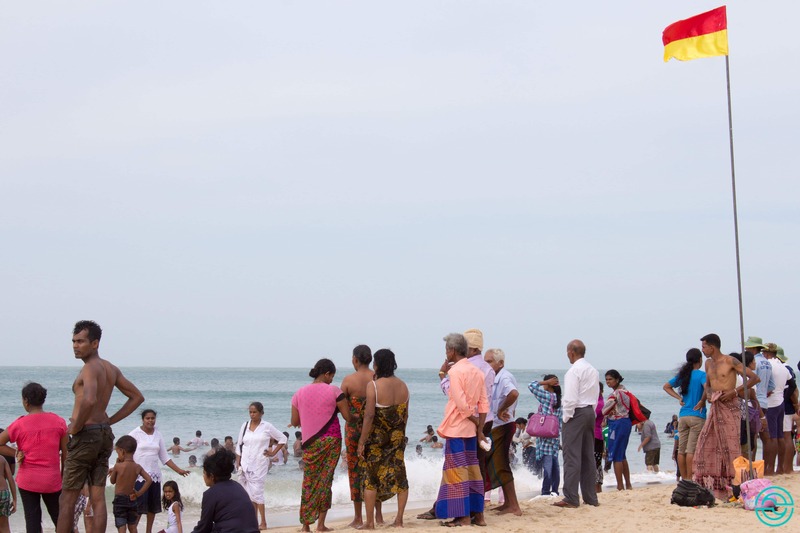 When I visited Sri Lanka I died of love for its historical sites such as Polonnaruwa, Sigiriya or Galle, but the beaches weren’t far behind. 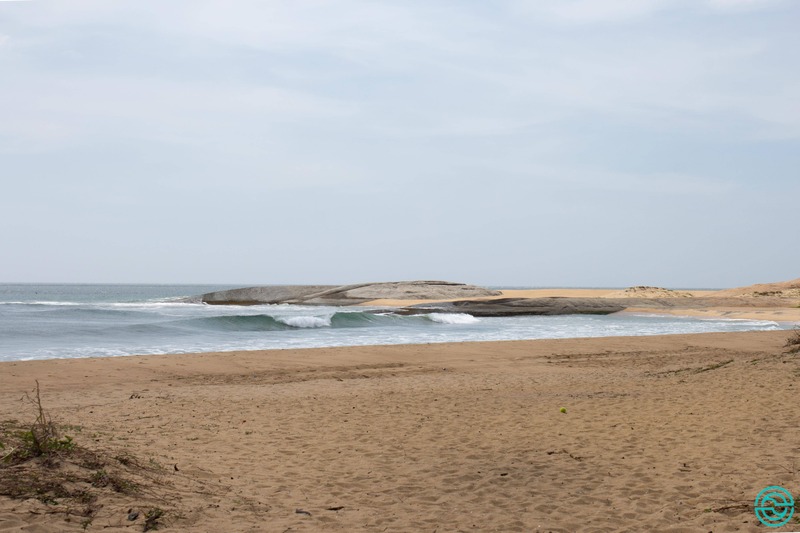 With the warmest water, I’ve felt from all my travels to Asia, easy waves to surf and beautiful coves of sand and vegetation, the beaches in Sri Lanka are one of the main attractions of the island and I show you here six nooks that conquered me. 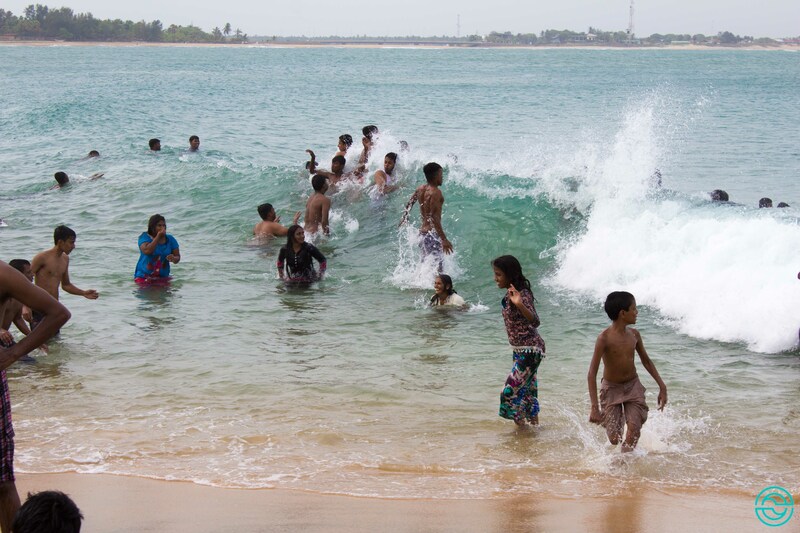 It’s one of the best-known surf spots in Sri Lanka and by such, the one where we find most people in the water. 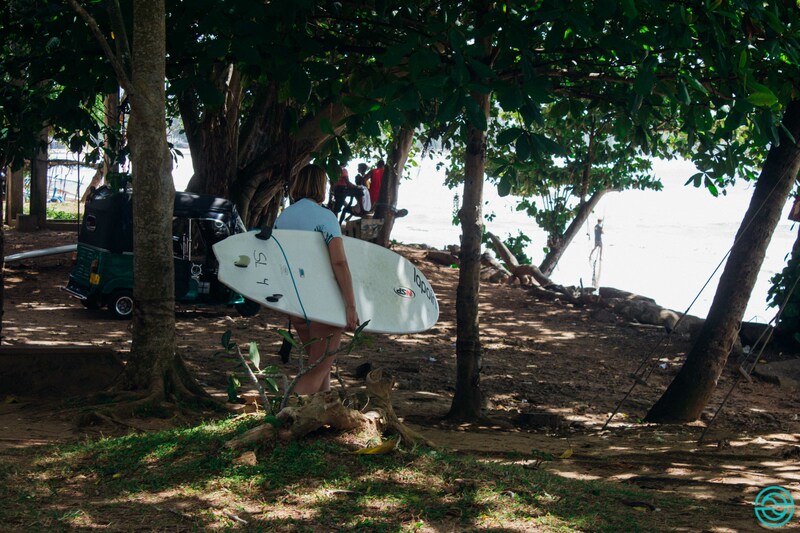 The bay stretches over a wide area and we can find waves to a more experienced level or for those who are now starting to make the first attempts on a surfboard. 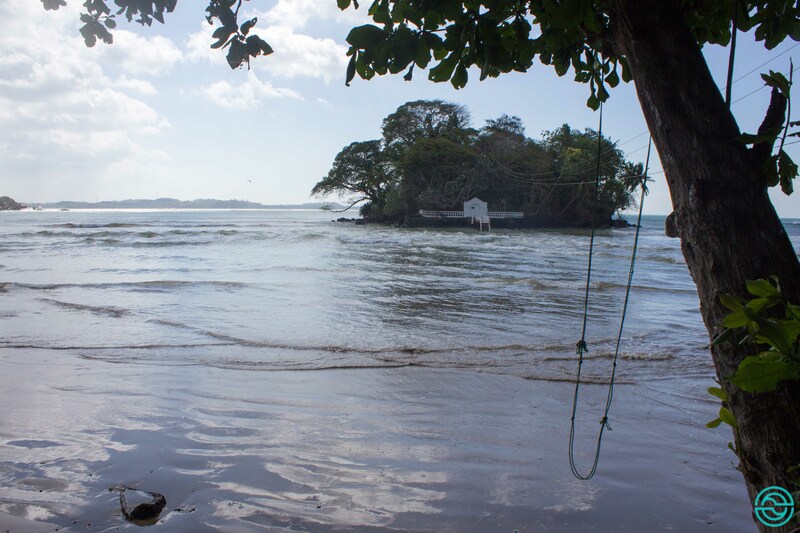 This is also a very sought-after spot for locals, who take advantage of areas with fewer ripples to enjoy the delights of a swim. 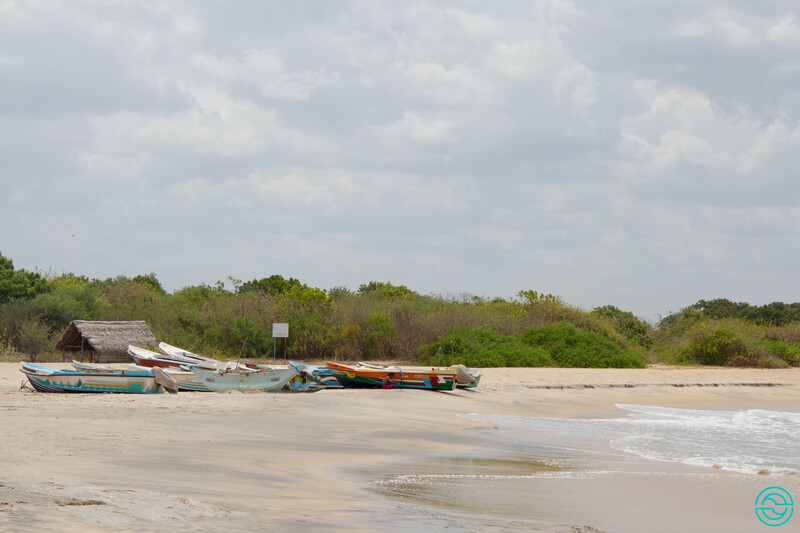 Above Arugam Bay, in the Pottuvil area, I went to another of the beautiful beaches in Sri Lanka, a spot known as Whiskey Point. 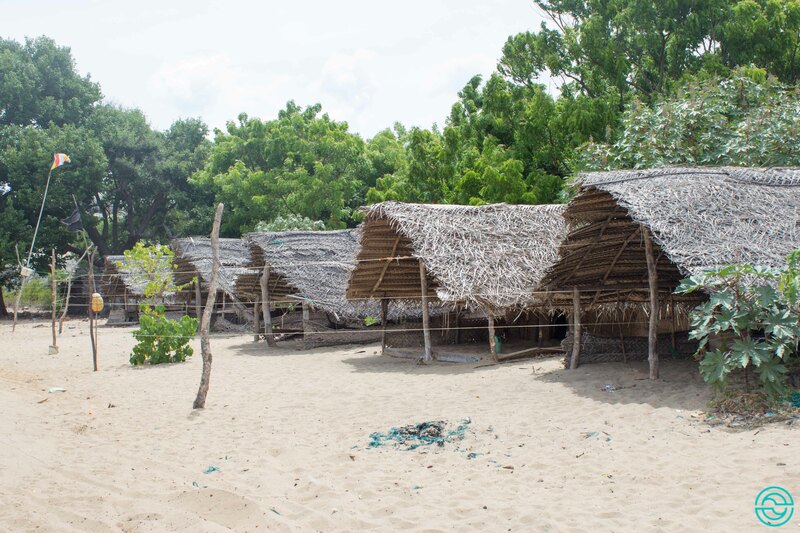 The entrance to the beach is made by a small resort, which rents bungalows and a warung where we can rest and have a meal. Everything inserted in a beautiful vegetation area. It may not seem like anything special, but when it comes to a very hot climate, believe me, that shade zones are essential. There were few people on the beach or in the water. Maybe I was lucky, who knows. 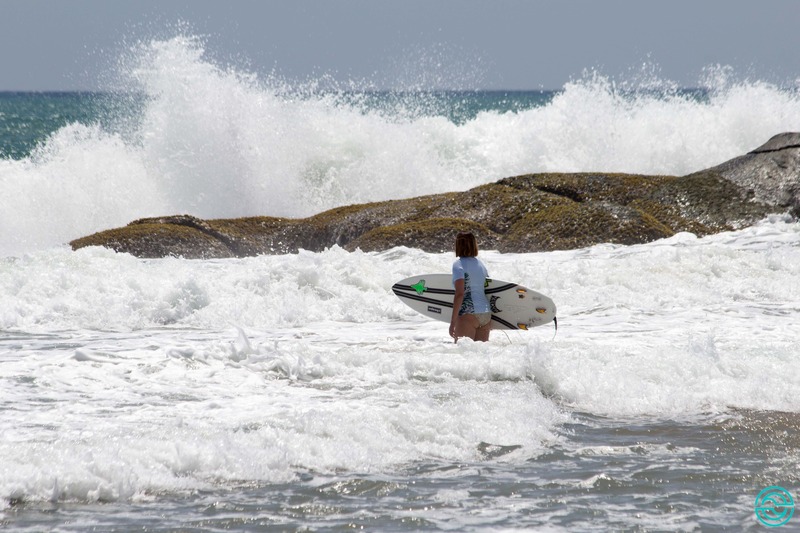 The wave is also quite easy to surf, marked by a rock that is on the right side. 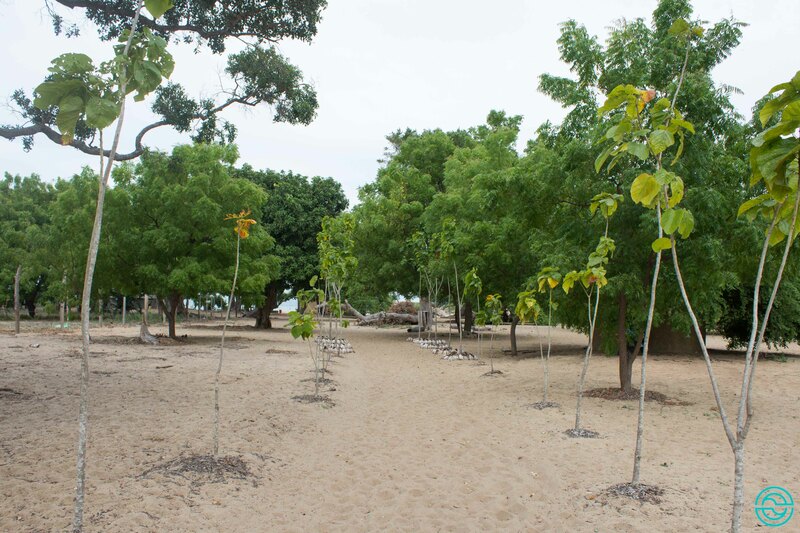 South of Arugam Bay, Peanut Farm is another wave of great quality. The access to it is made by a narrow, dirt road, so it’s best to hire a tuk-tuk to get there. 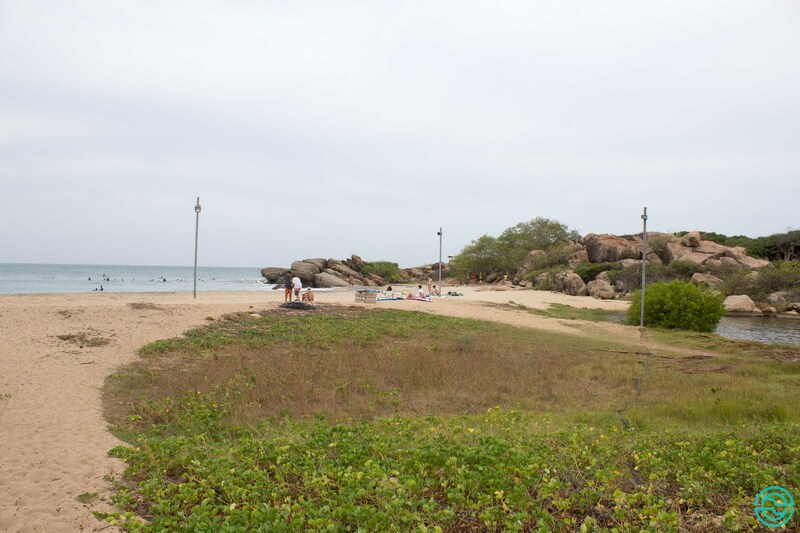 This beach is inserted in a military complex, but it’s of public entree. While there they were preparing a military camp on the beach, but they didn’t close it or prevent the surfers from enjoying the waves. This is a much sought after place for surfing, but don’t be alarmed by the crowd. If you walk to the right, passing an area of stones, you’ll find other spots without anyone. 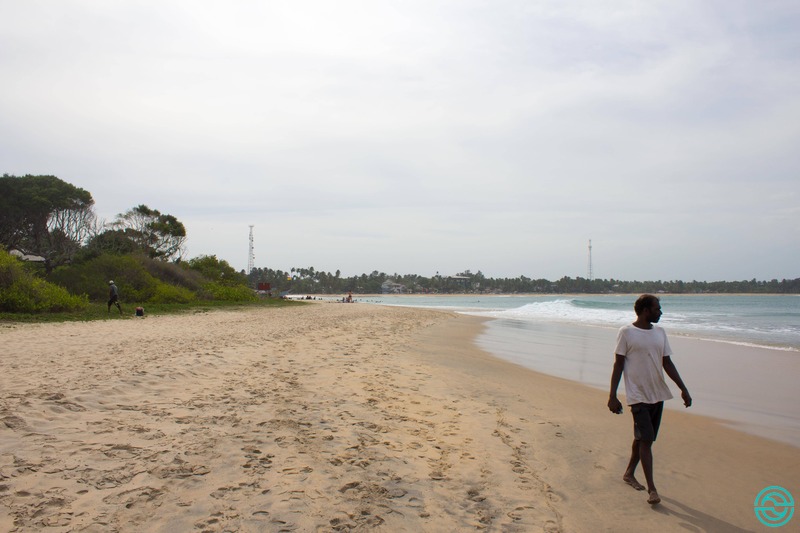 In the heart of Kumana National Park, next to the Kudumbigala Monastery, Okanda is another beach and wave to discover. The parking lot is the same for the buses that carry hundreds of devotees to that temple. We can follow a sand path that leads to the beach. 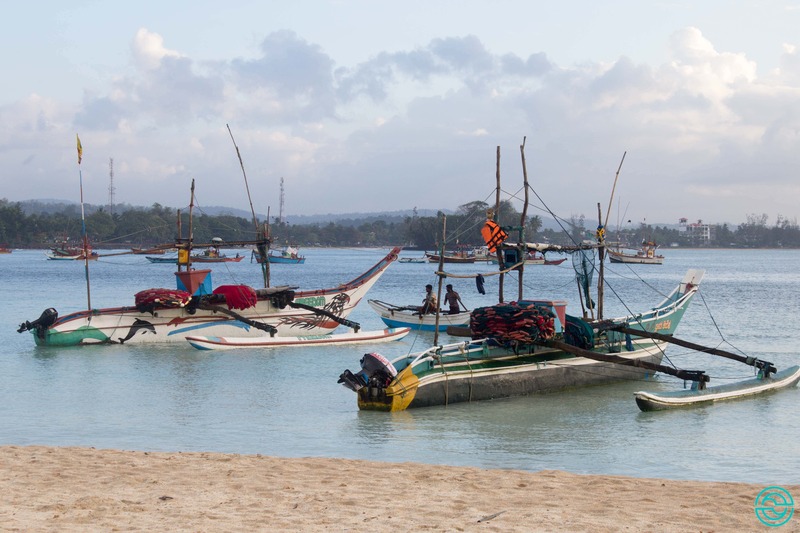 On the right side, the sand is empty for a long distance, while on the left side, after some stones, you arrive at a beautiful bay with some fishing boats and a wave that accompanies the coastline. 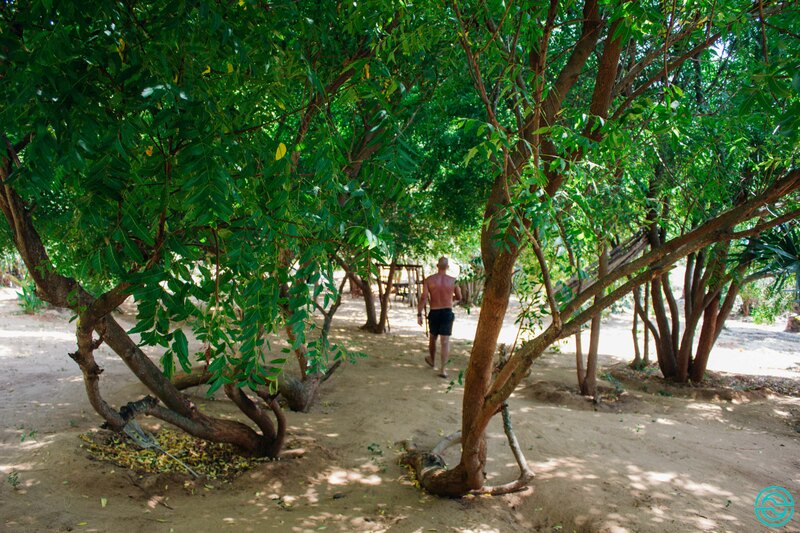 To get back to the transport, just follow the path through the small fishermen tents and some trees where a colony of monkeys takes refuge. 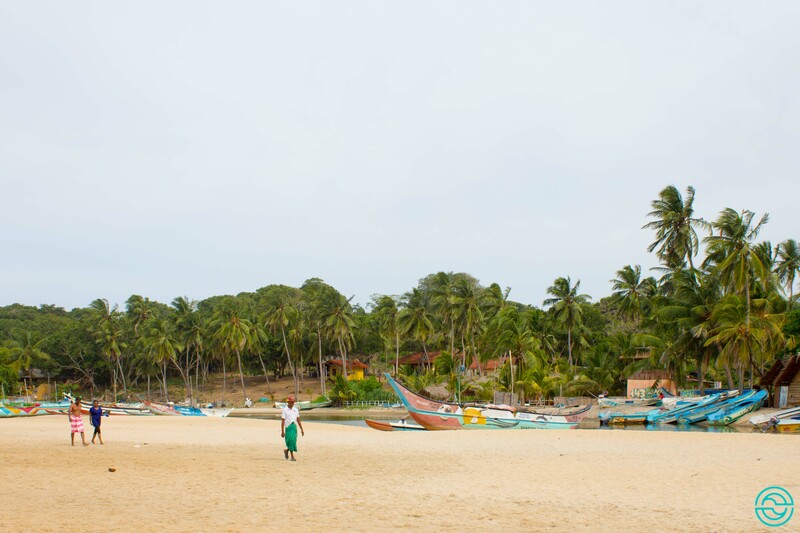 In South Sri Lanka, right next to the Lapoint Surf Camp, a place where I stayed during my trip, Weligama Bay is extraordinary. 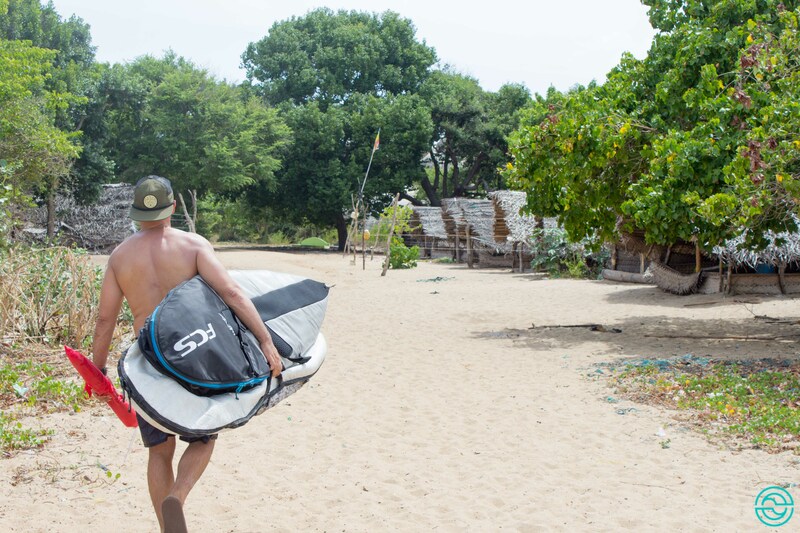 Halfway, next to a small island-hotel, the sandy bottom and the waves without much force make this place ideal for beginner surfers. 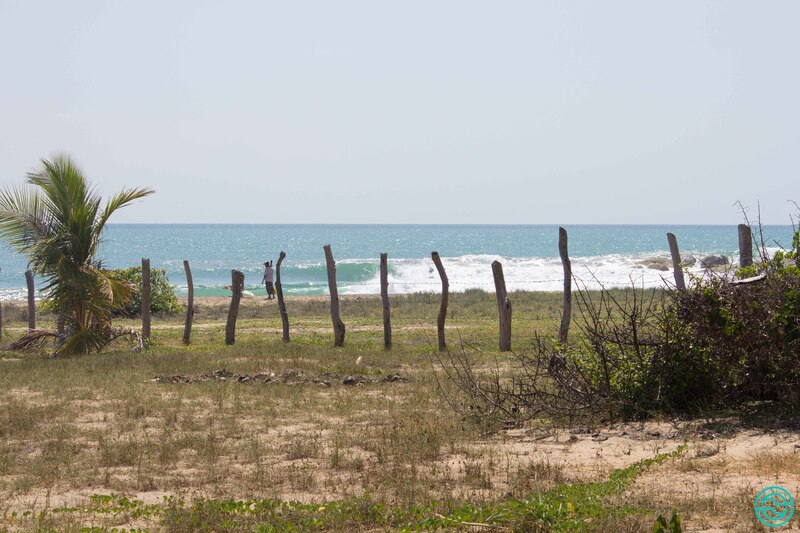 For the more experienced, the ideal is to travel to the right side of the bay, next to a small fishing port, and go find the waves that are in the reefs further away. Notice that the paddling distance isn’t easy. Either point of the bay is pleasant even for non-surfer since the landscape is lovely and, I’m not sick of mentioning, the water at a great temperature for some dives. And don’t be alarmed if you see a turtle or another enjoying the spot. 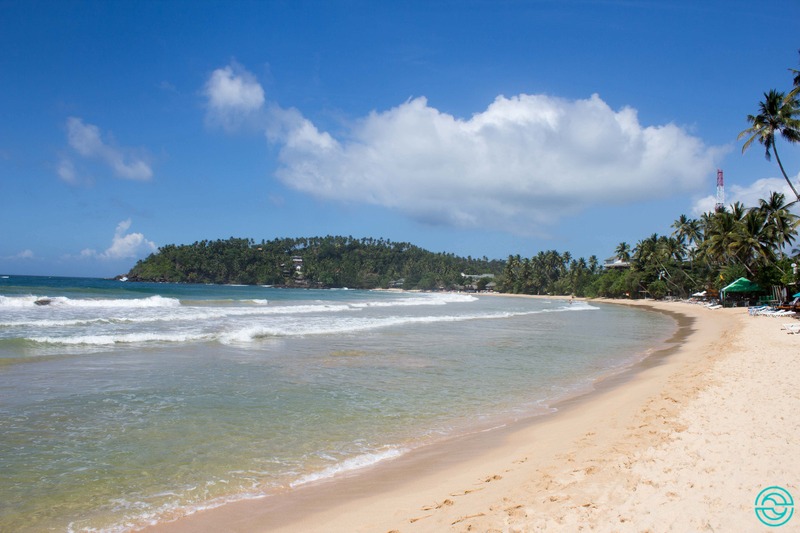 My last suggestion for beaches in Sri Lanka: Hikkaduwa. I discovered it in my last week of travel because it was halfway with the spa where I went to take one of the best massages of my life. 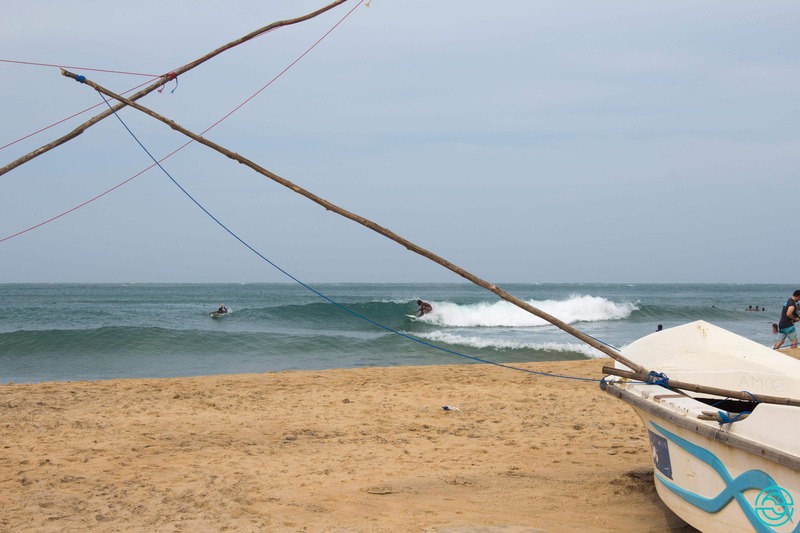 I didn’t go surfing there but they tell me that depending on the season, this can be one of the great surfing spots in Sri Lanka. 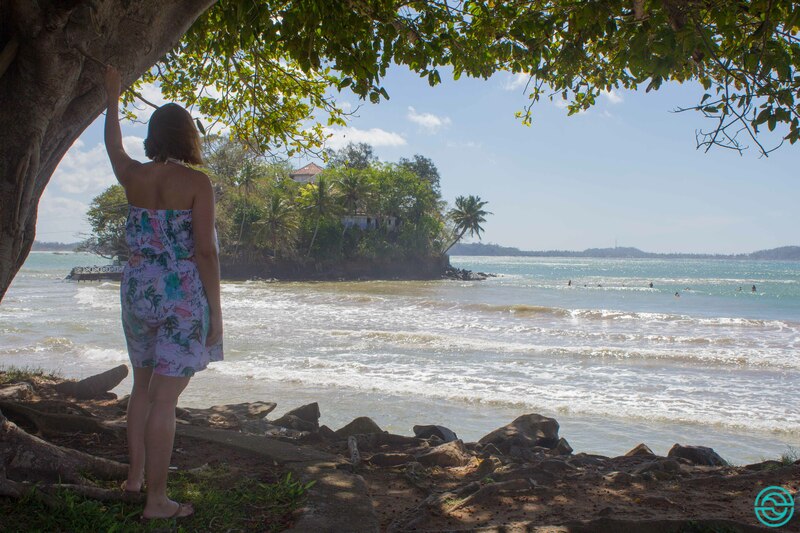 In any case, the beach is beautiful, full of small bars and terraces, fantastic for spending the days stretched out in the sun and enjoying all that piece of ocean.